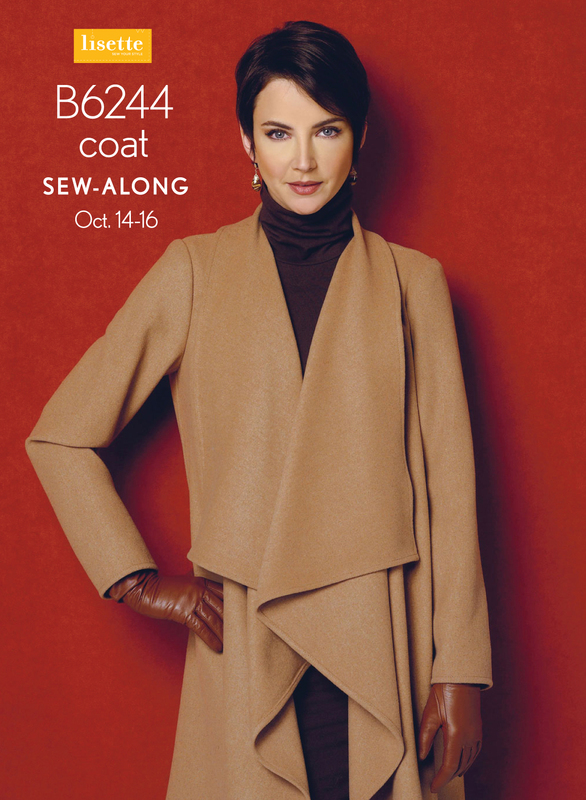 Just a friendly reminder that the Lisette B6244 Coat sew-along is beginning today over in the discussion forums section of our website. Who’s sewing along with us this week? If you’d like any suggestions for fabrics for this project, have a peek over at Liesl’s post announcing the sew-along (by the way, that’s where you can grab a sew-along badge, too). You can also find some more fabric and styling inspiration in Liesl’s post introducing this drapey coat. See Liesl’s Lisette B6244 Coat Fabric Ideas Pinterest board for even more suggestions. Join us over in the Discussion Forums Sew Alongs group for Day 1.